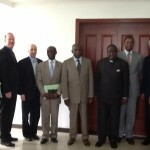 A multi-disciplinary mission of the United States private sector enterprise consortium, led by Management and Economics Consulting, Inc. (MAECI) undertook an economic and commercial mission to Equatorial Guinea in March, 2013. The U.S. mission conducted in Equatorial Guinea was the U.S. private sectors enterprise consortium’s response to the appeal made by H.E. President Obiang for more cooperation and interest from the United States in doing business and investing in Equatorial Guinea. The U.S. Economic Consortium represented enterprises in the following sectors: Agriculture, Healthcare, Water Purification, IT and communications, Solar Energy, Education, Transportation and Human Resources. 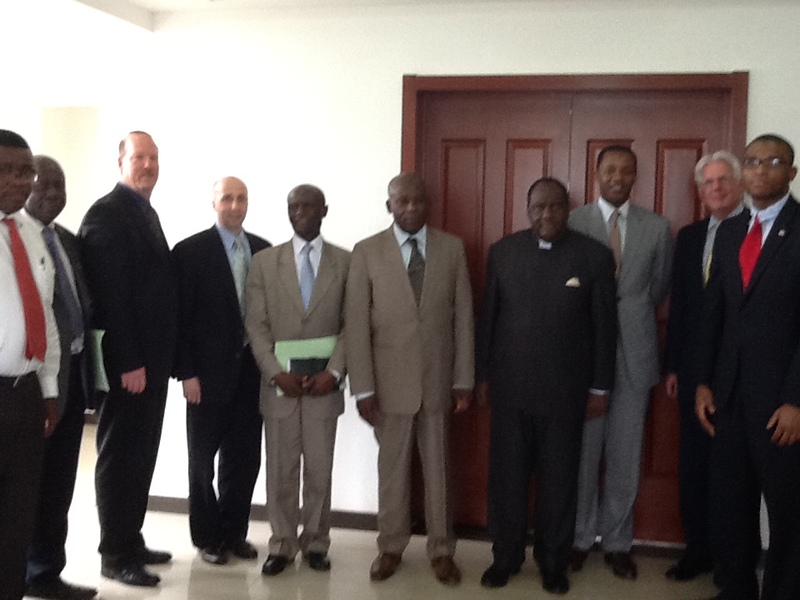 The U.S. Economic Consortium attended a meeting with the Ministry of Transportation and Communications. The meeting was chaired by H.E. Francisco Mba Olo’ Bahamonde and H.E. Carmelo Modu. H.E. Olo’ Bahamonde and H.E. Modu explained the vision of their Ministry and initiatives in reaching the goals of Horizon 2020. They discussed the progress that has been made to date in improving the IT and communications infrastructure within Equatorial Guinea and stated that several new improvements are close to being launched within the country, but there is still a vital need for applications of technology. They expressed the need for Equatorial Guinea to develop and train the next generation of the population, and that the children of the country need to be educated and healthy in order for them to fortify the private sector going forward. The Ministers expressed their goal for every child of Equatorial Guinea to have access to the internet and other technologies as a component of the education system. The U.S. group explained that they see IT, Communications and Transportation as a critical component of all the initiatives they’re prepared to undertake in Equatorial Guinea. All sectors being evaluated by the consortium (Healthcare, Agriculture, Solar Energy, transportation, clean Water, Education etc.) will need to interconnect in order to be successful as the country continues to develop. The U.S. Economic consortium’s conclusion is that without the accelerated growth of the private sector, such as IT, Telecom and transportation, it will be difficult to achieve Phase 2 of Horizon 2020. To date the overwhelming majority of growth activity has come from the Oil & Gas industry and the Equatorial Guinea government.